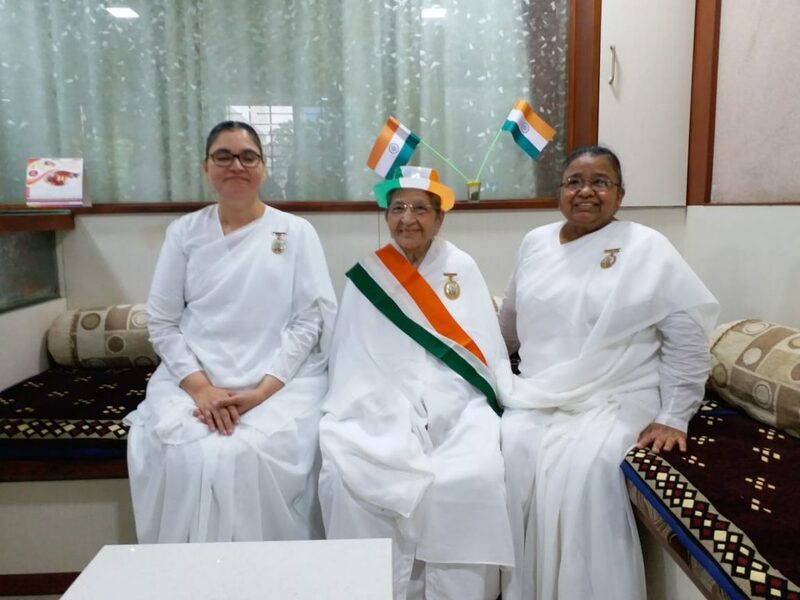 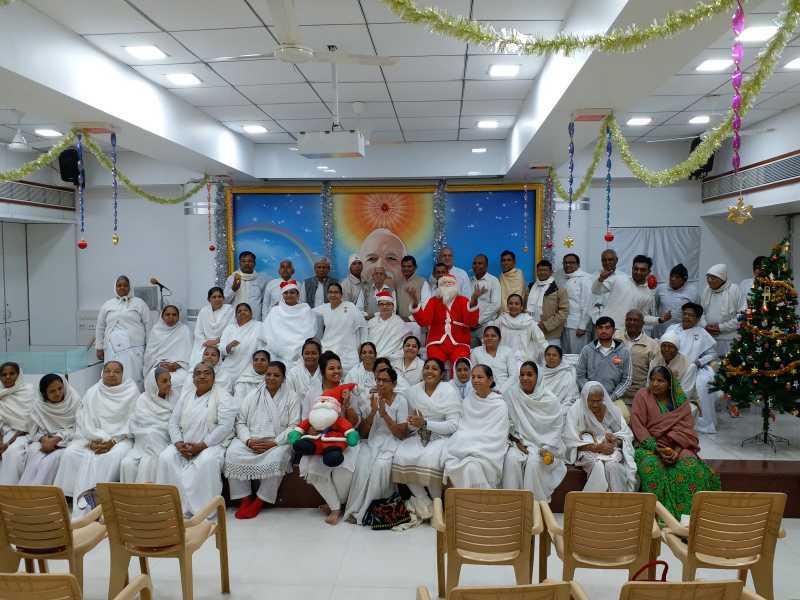 Brahma Kumaris, Sukh-Shanti Bhawan, Ahmdabad. 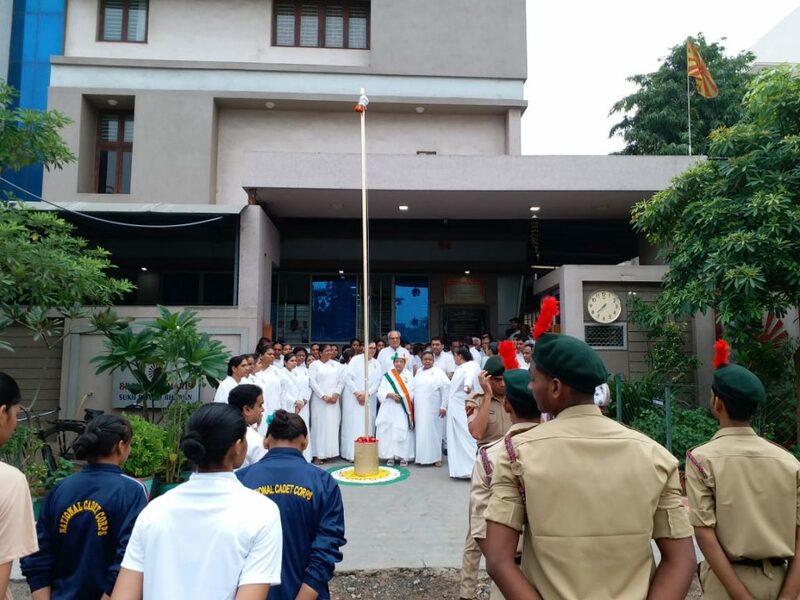 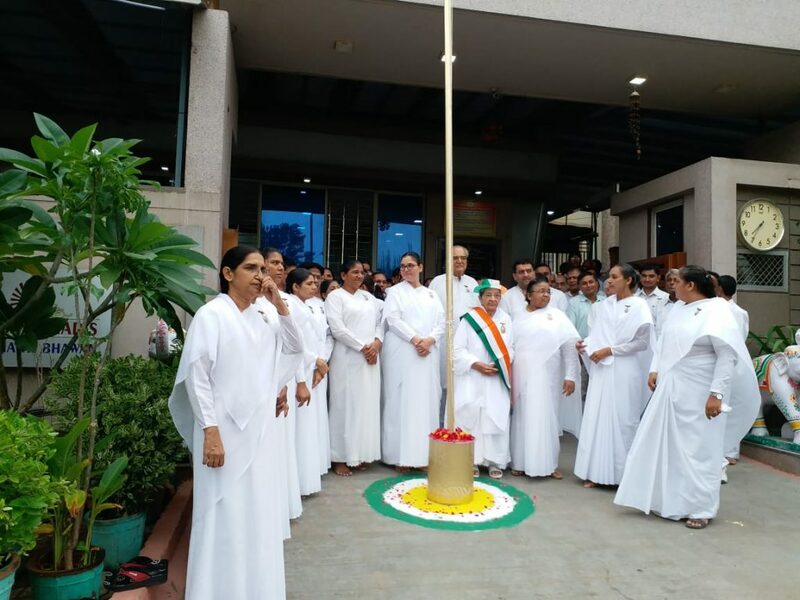 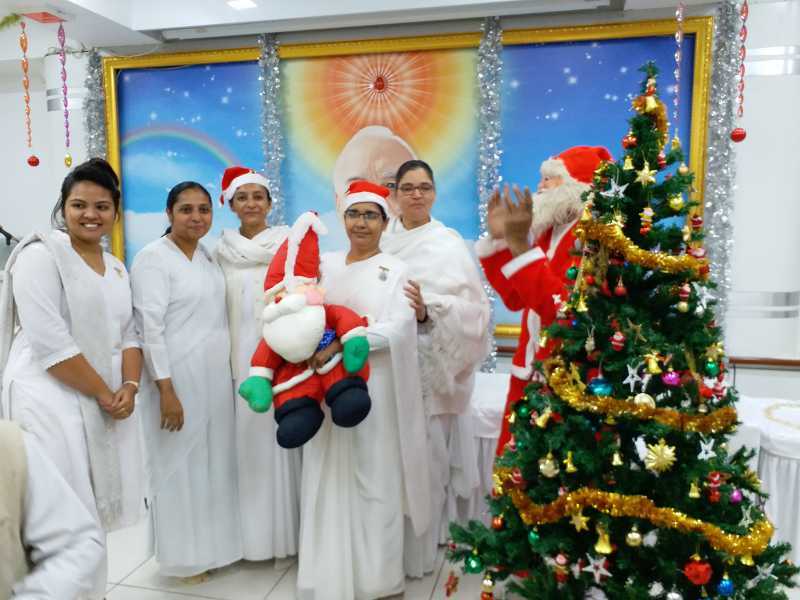 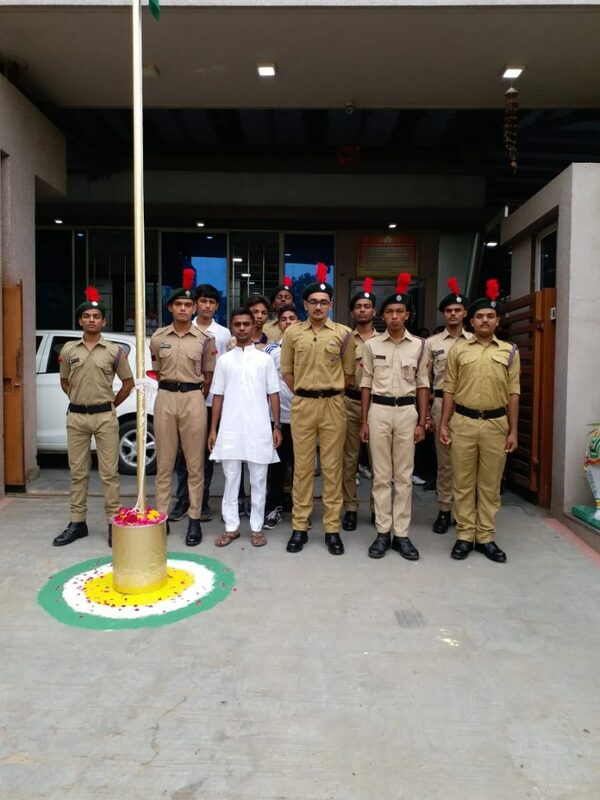 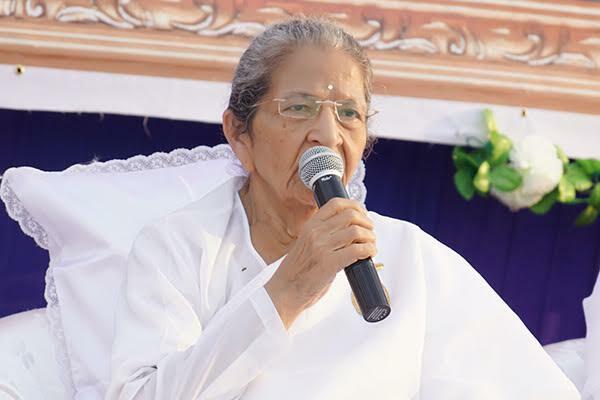 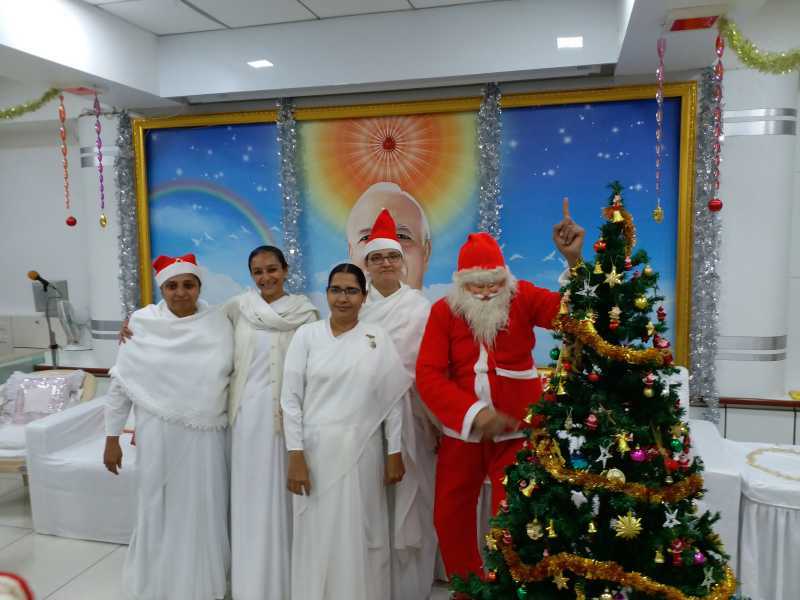 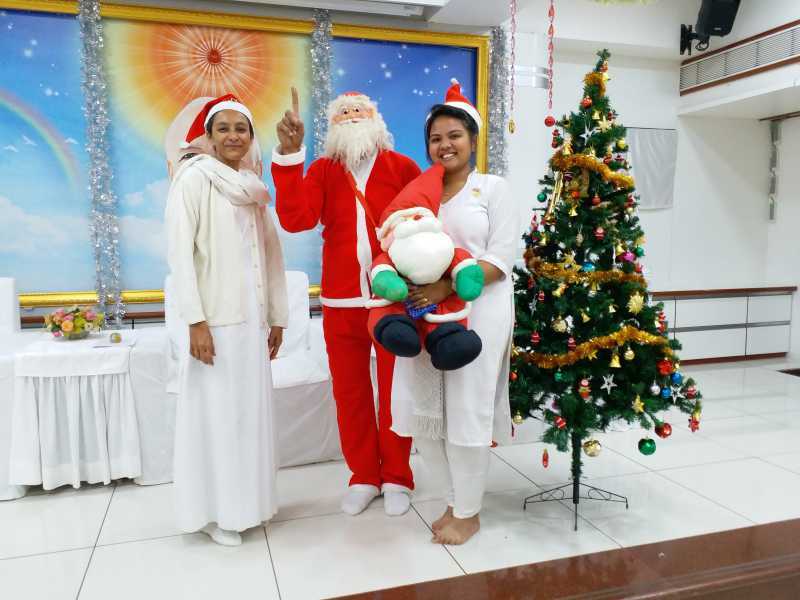 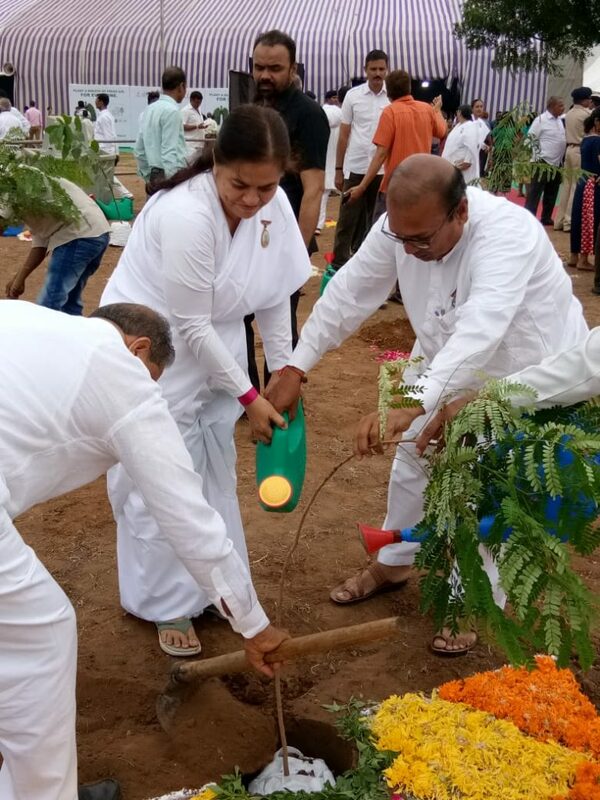 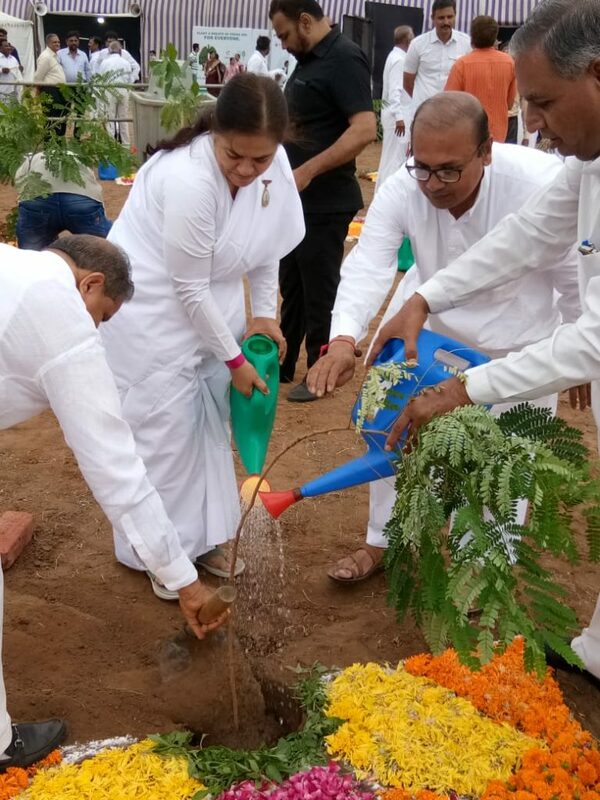 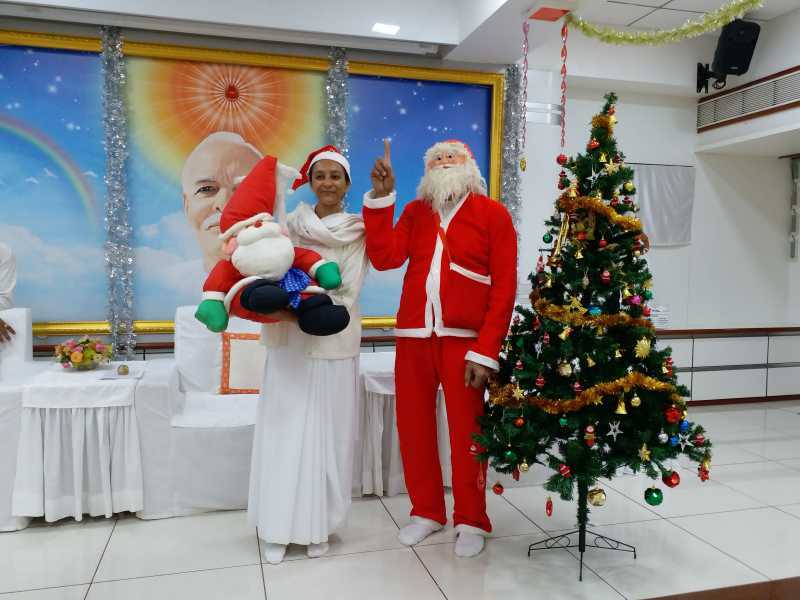 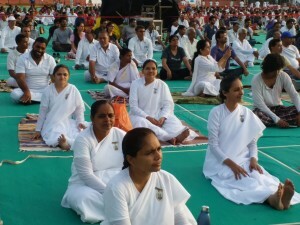 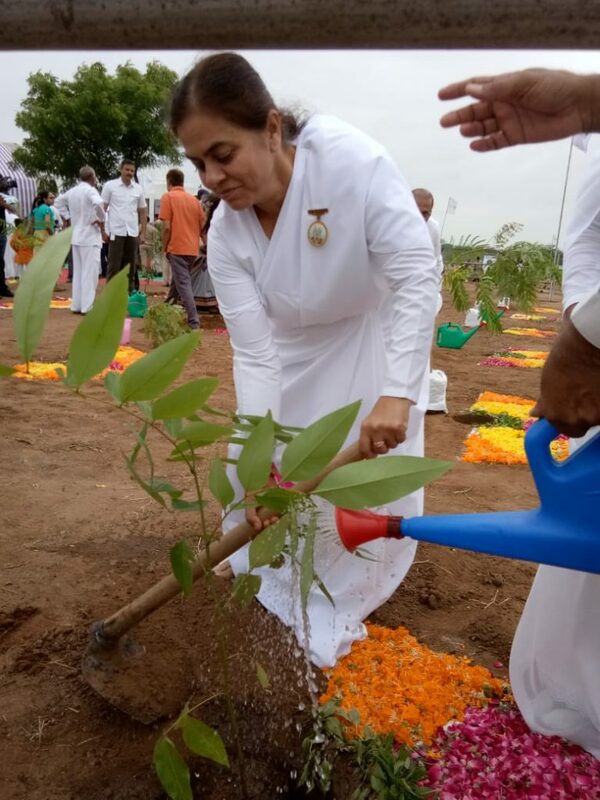 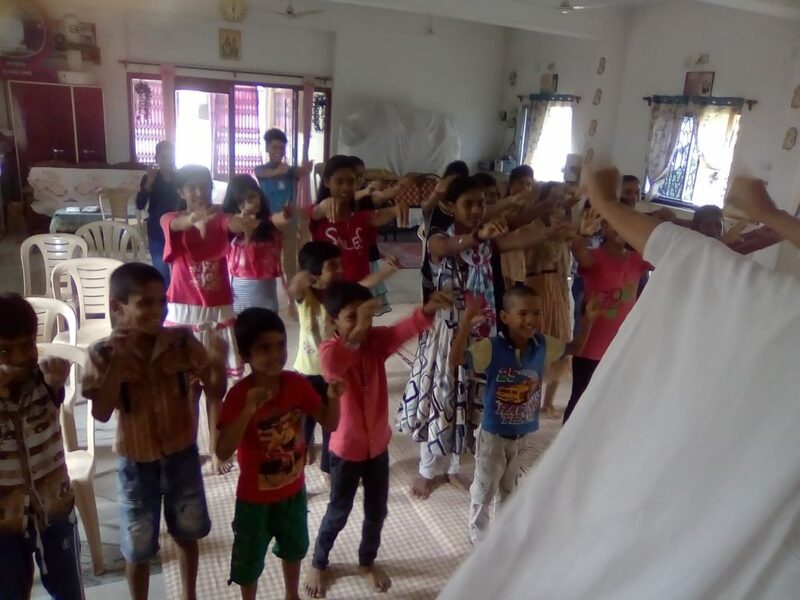 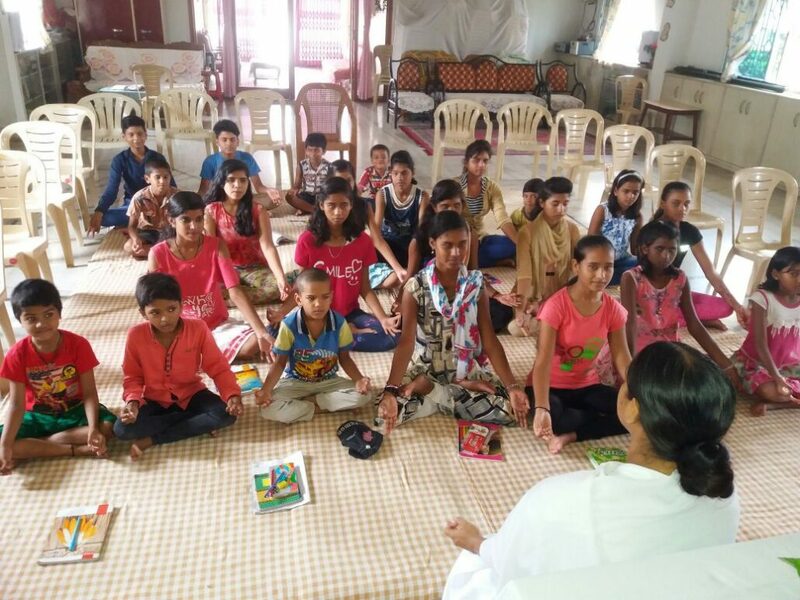 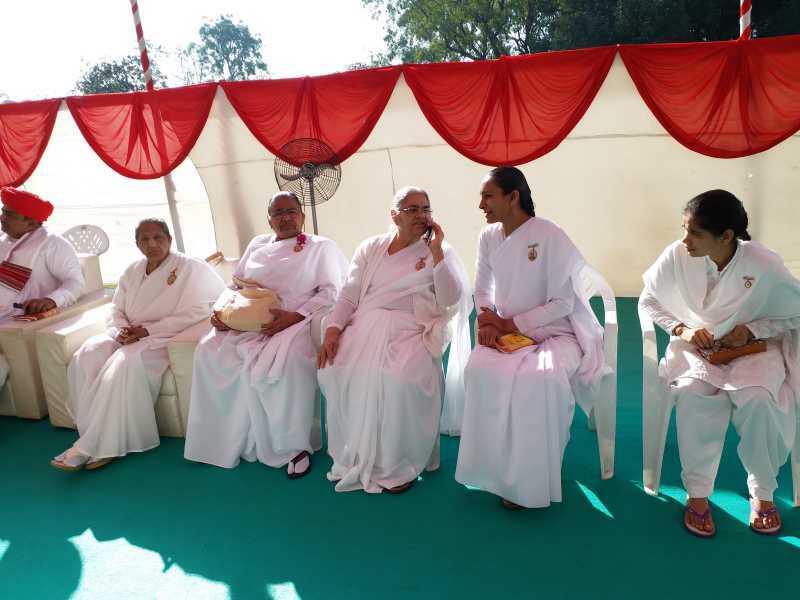 bkmukesh – Brahma Kumaris, Sukh-Shanti Bhawan, Ahmdabad. Brahma Kumaris, Sukh-Shanti Bhawan, Ahmdabad. 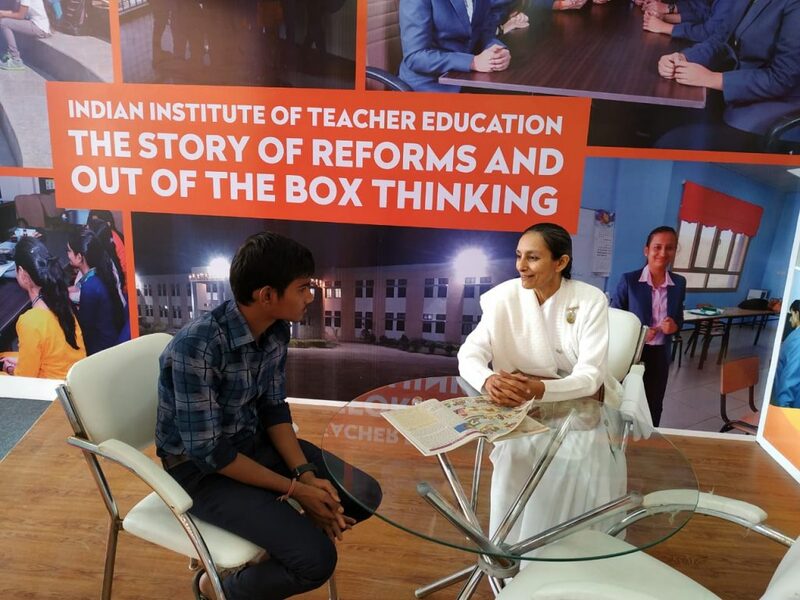 *Indian institute of teacher education orginased Gyanoshav Gujarat for 2 days. 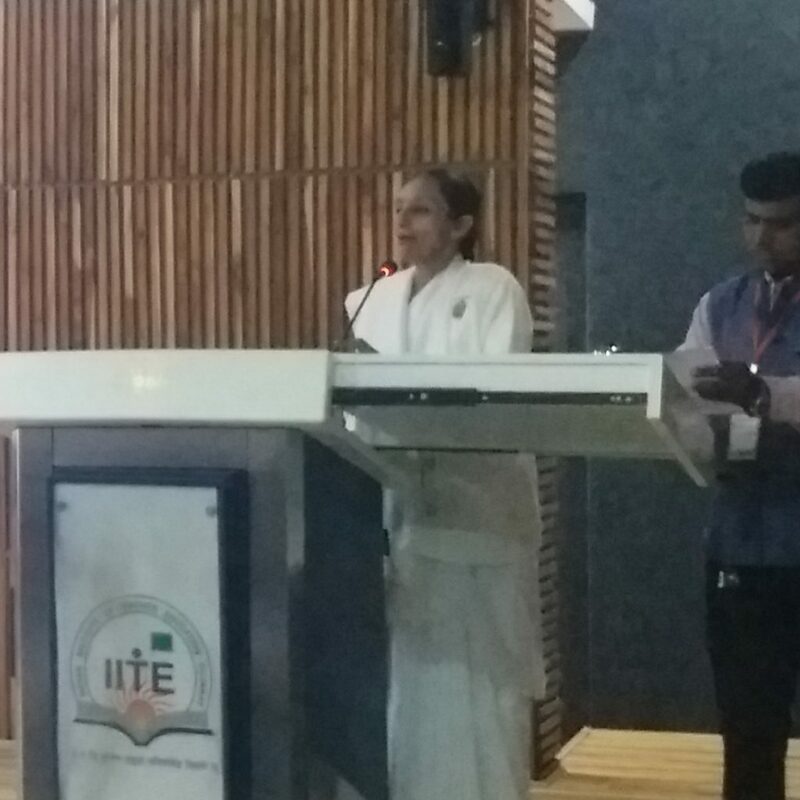 In this conference today Bk Nandini (co-ordinater, value education programmes- Gujarat) given introduction of value education programmes run by education wing during seminar for educators. 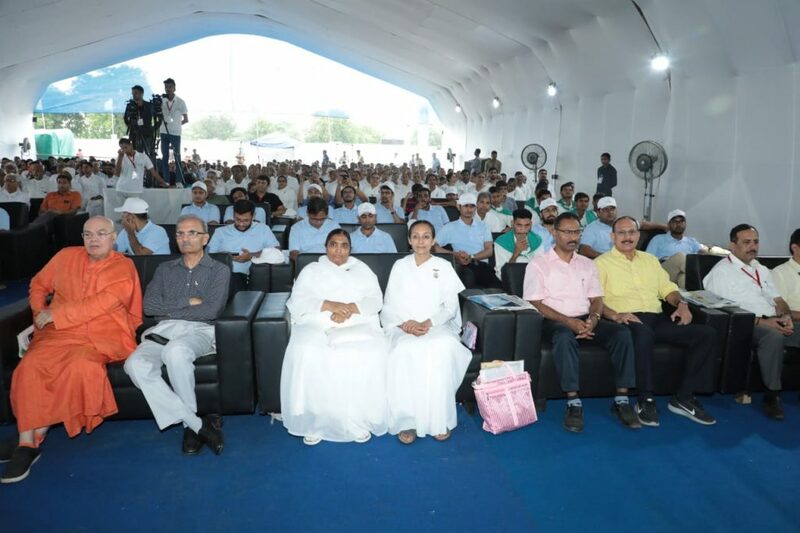 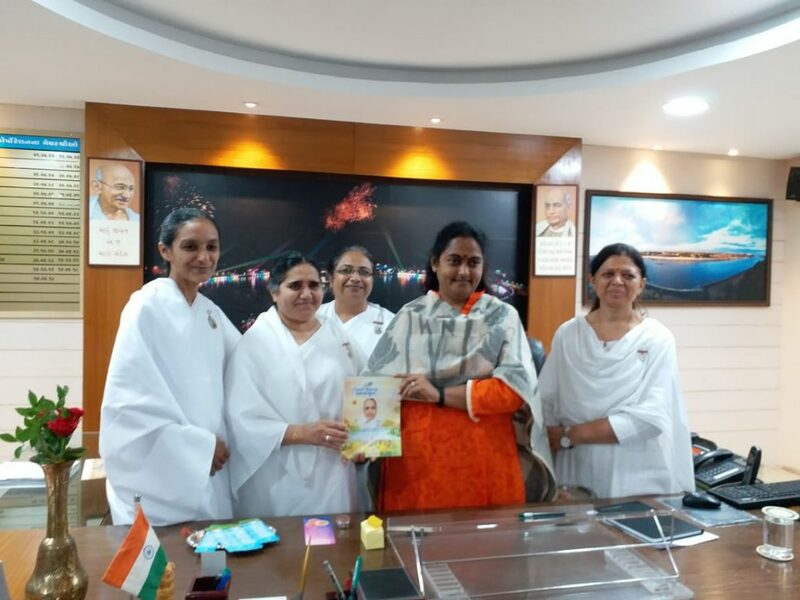 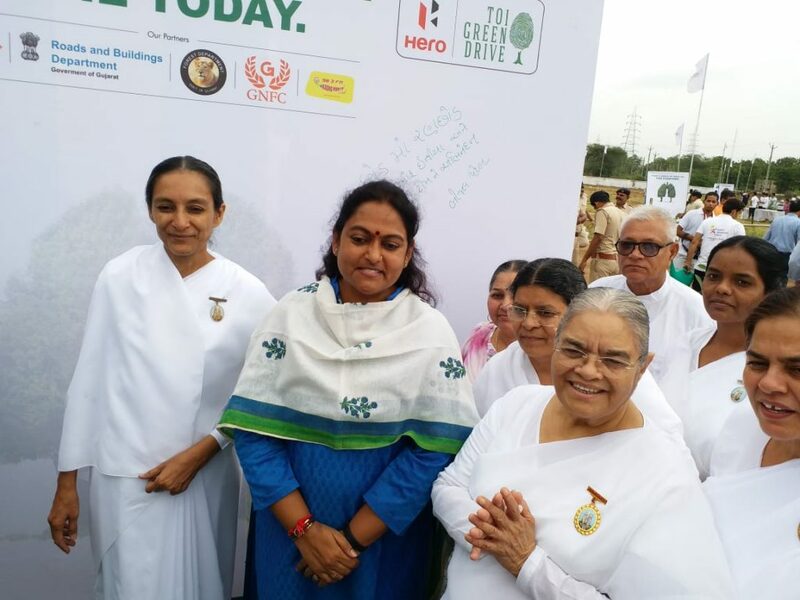 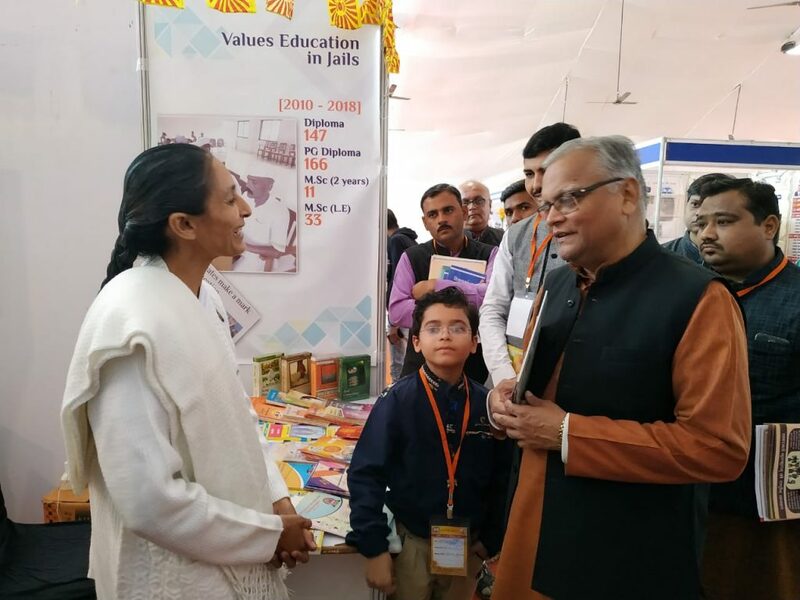 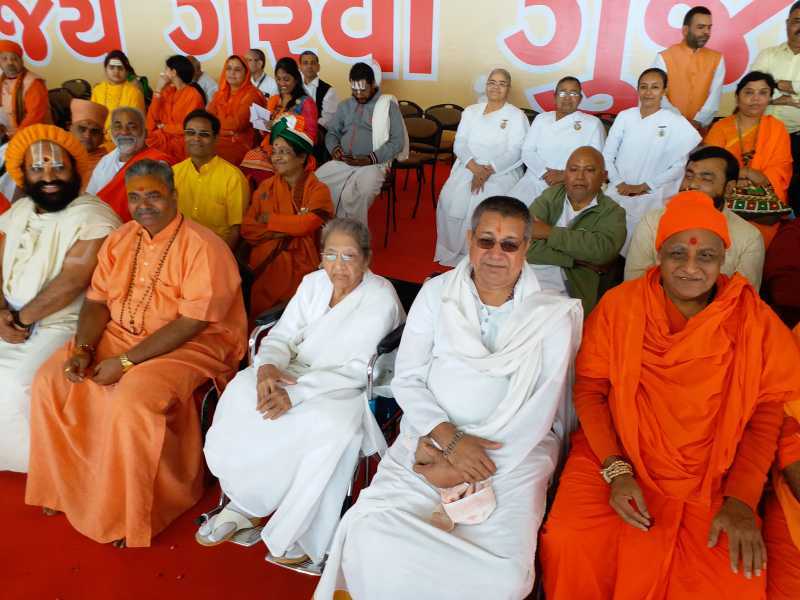 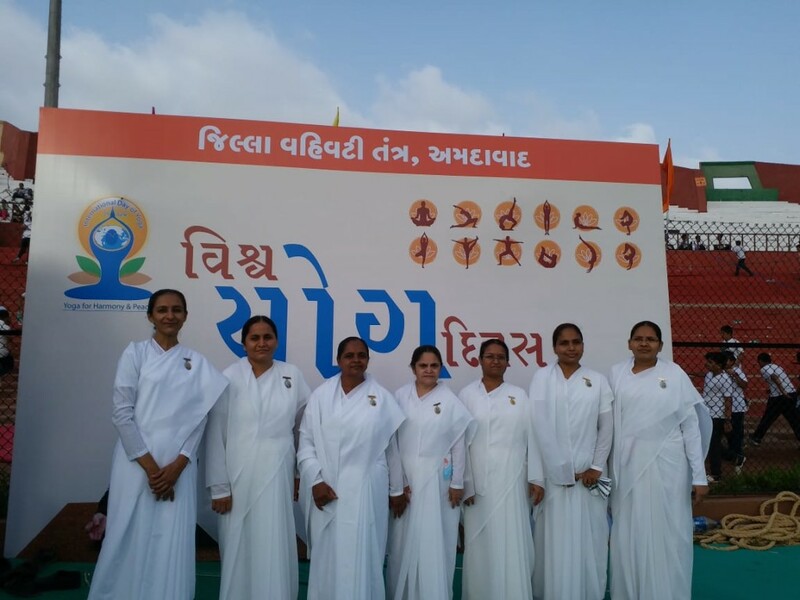 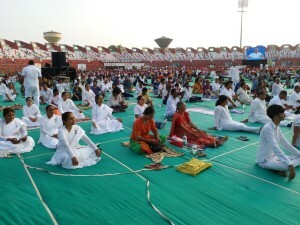 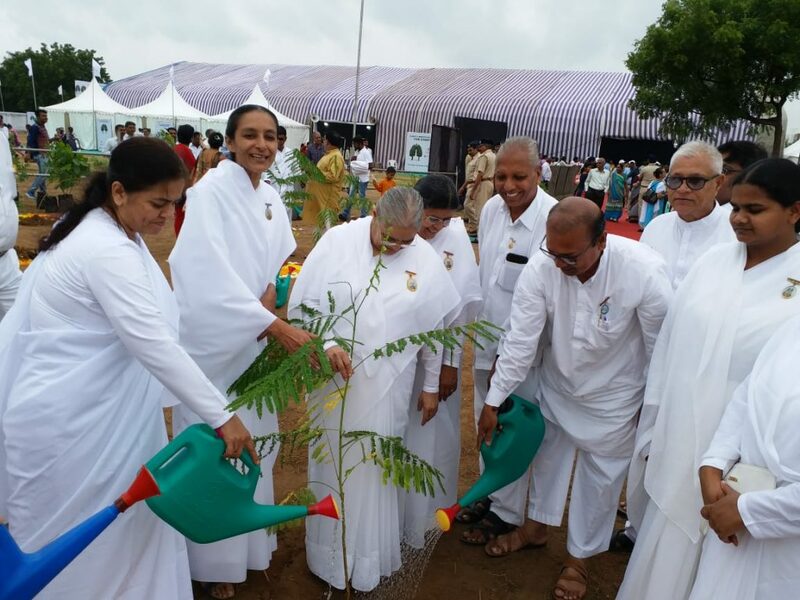 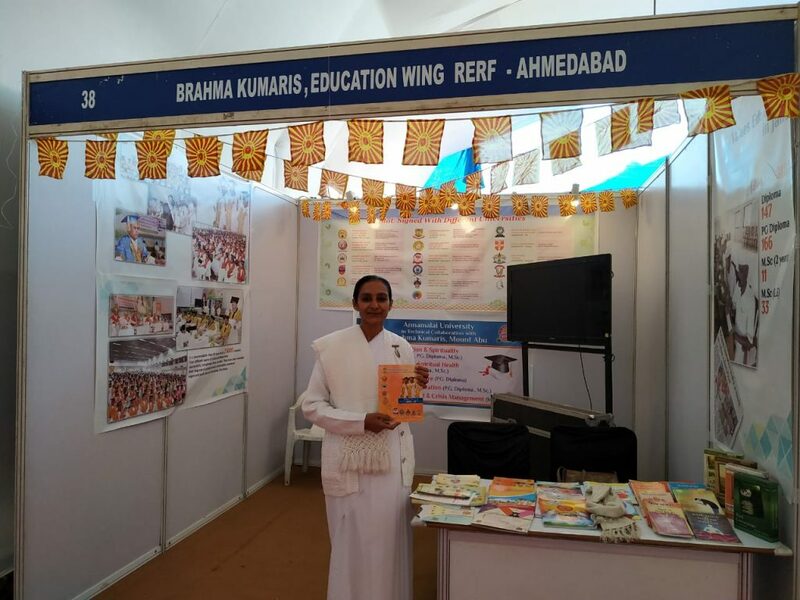 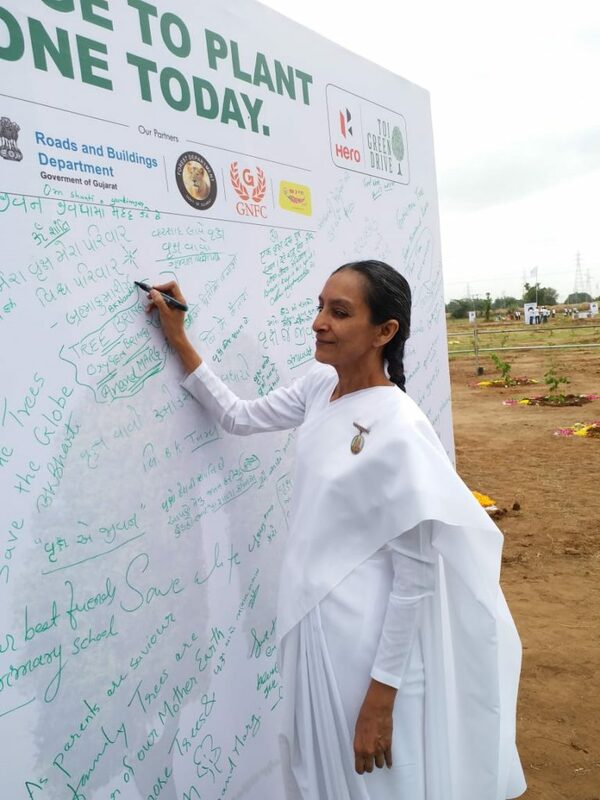 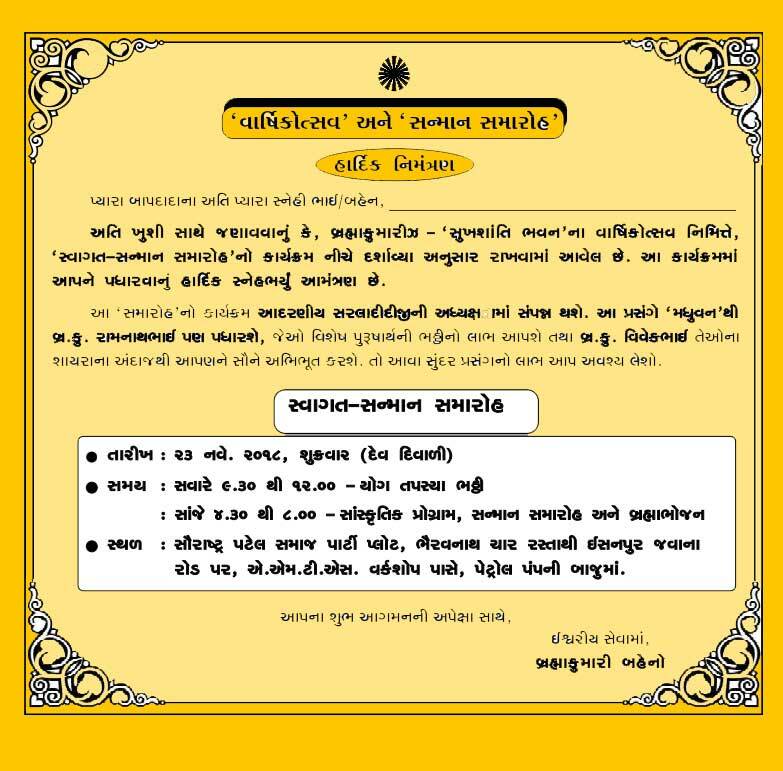 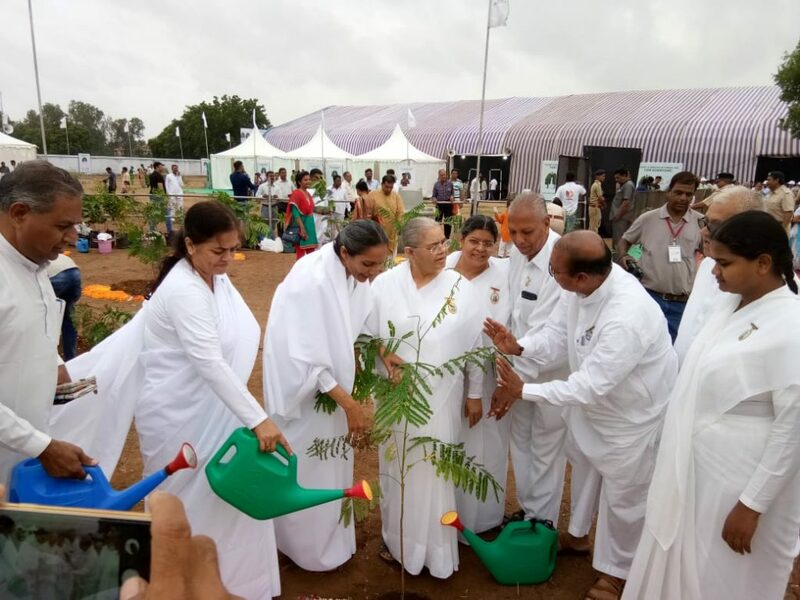 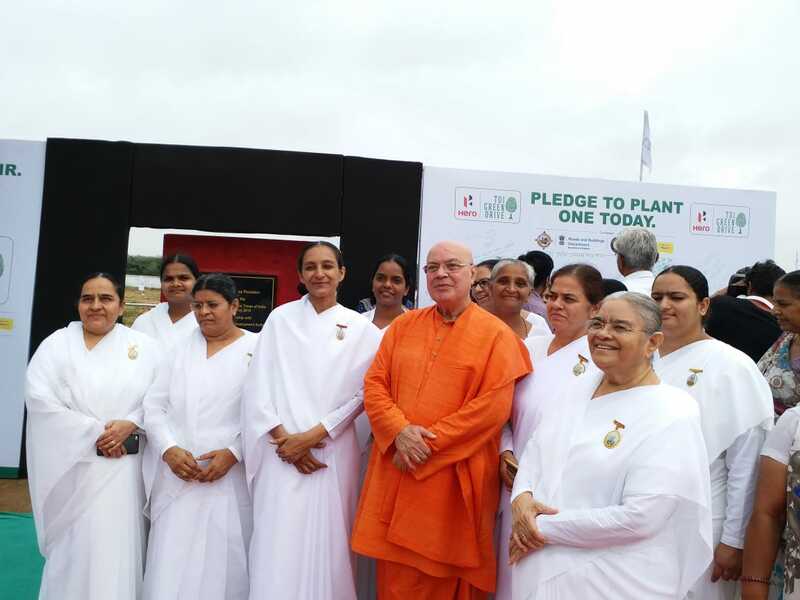 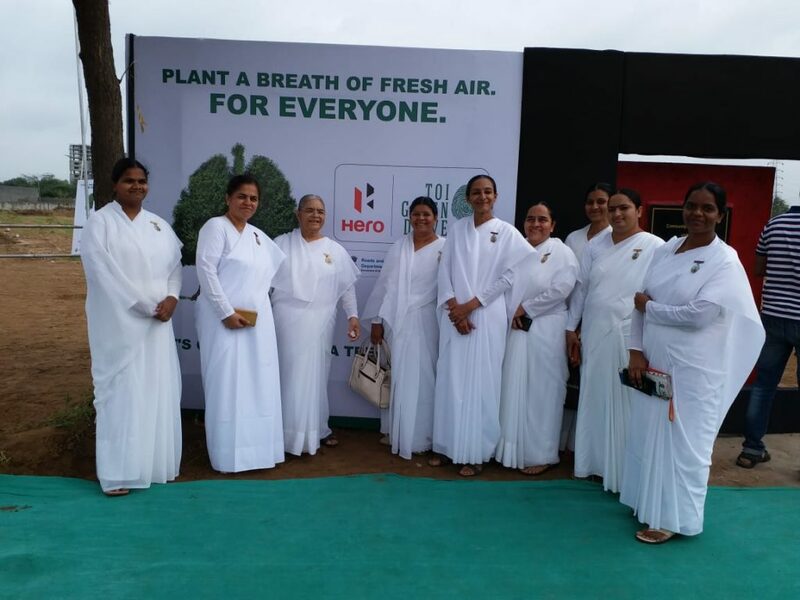 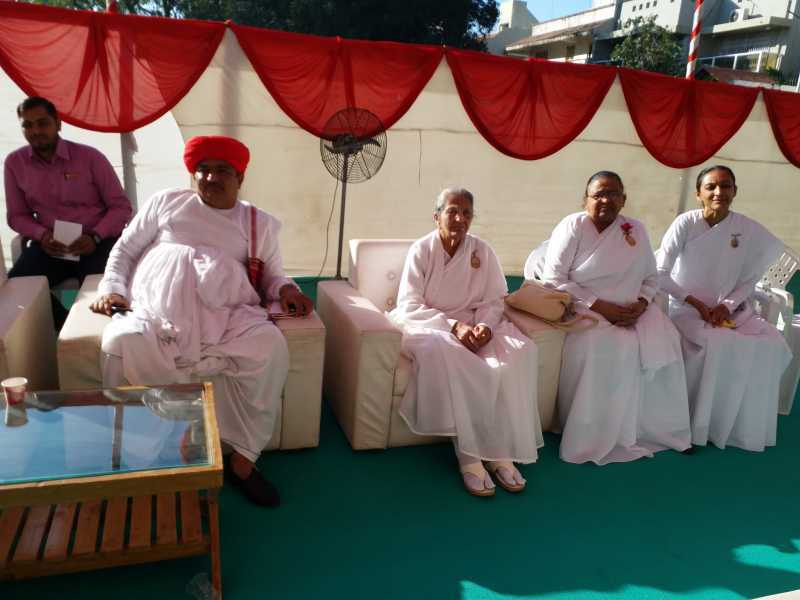 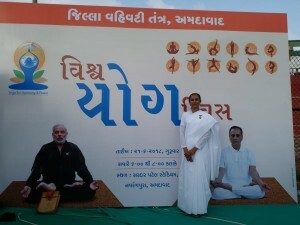 In this Gyanoshav Gujarat Fair our brahma Kumaris, Value Education Wing Stoll for 2 days. 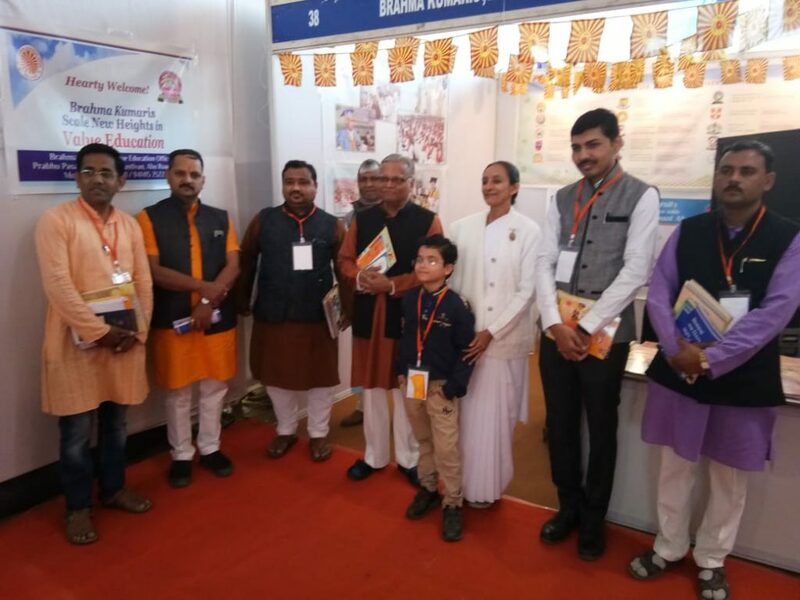 So many people visited our stalls during this conference. 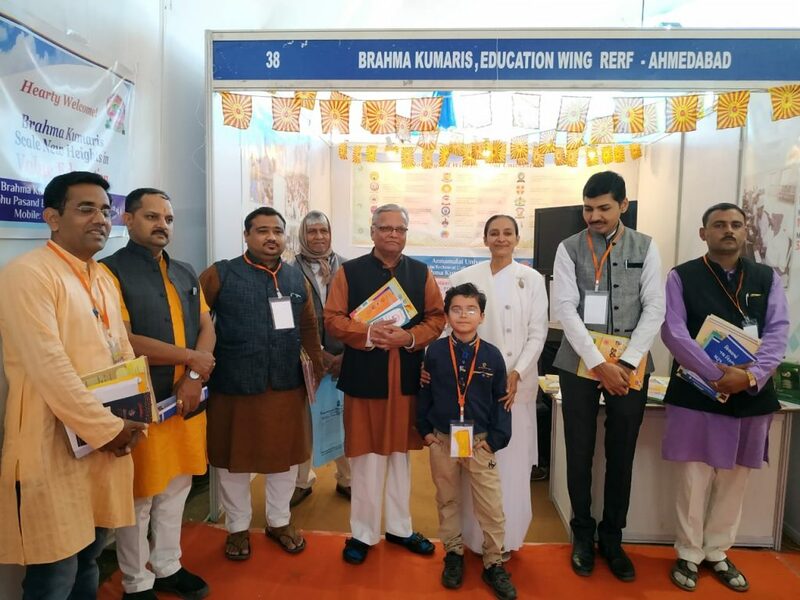 Mr. Shshiranjan, Mr. Amitbhai co-coordinator of this fair and Vice chancellor of some university visit our value education Stoll. 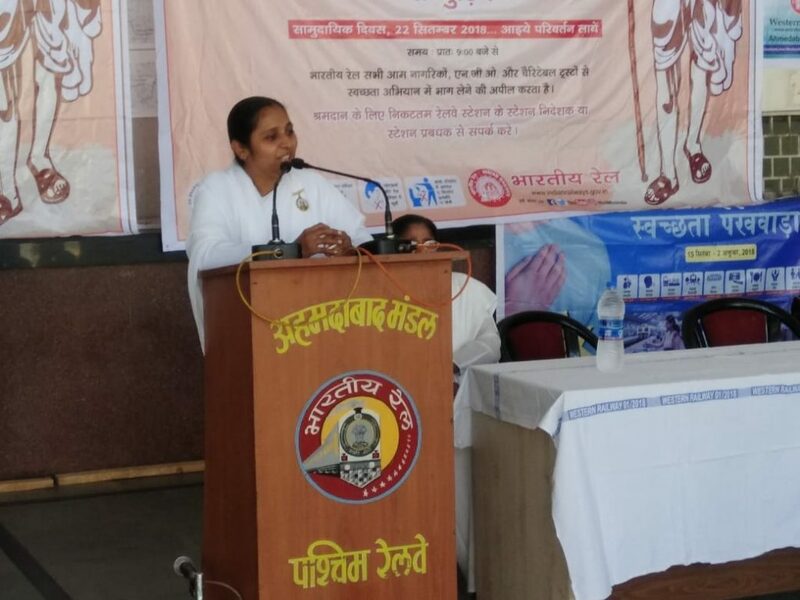 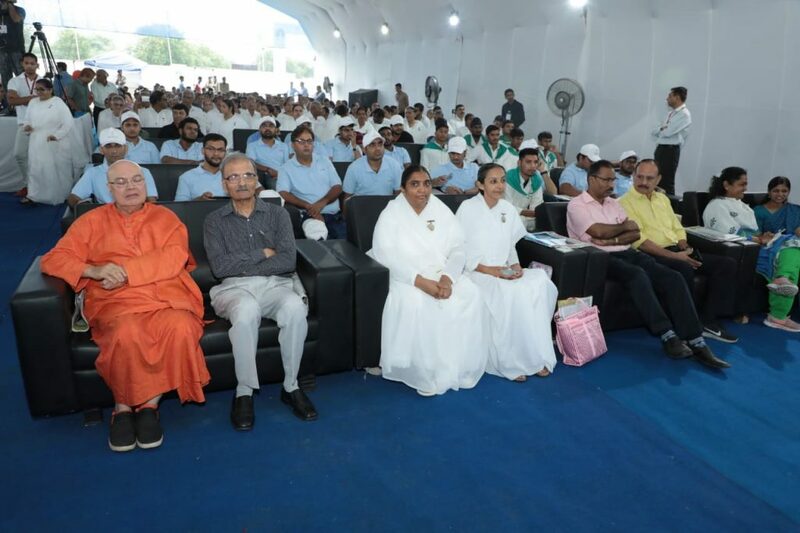 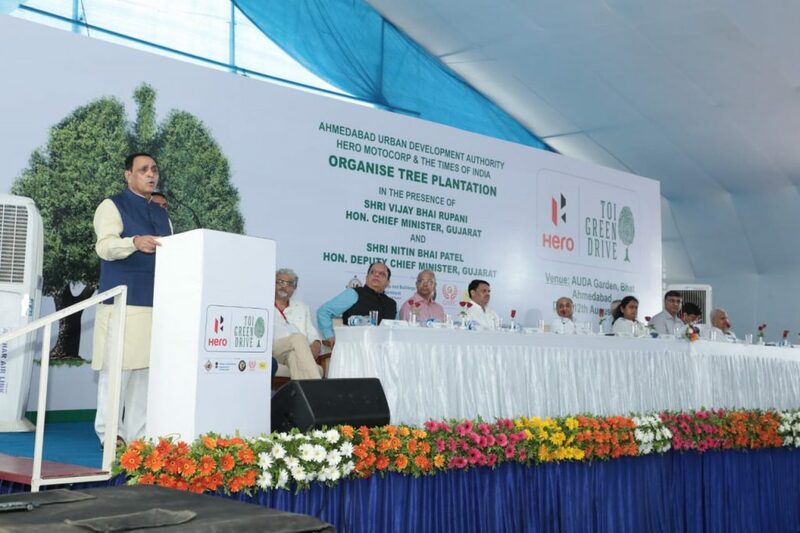 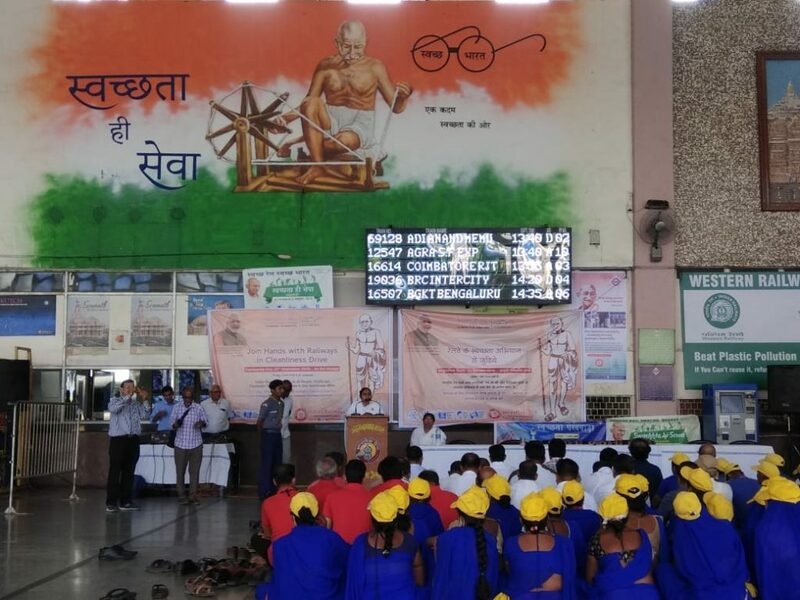 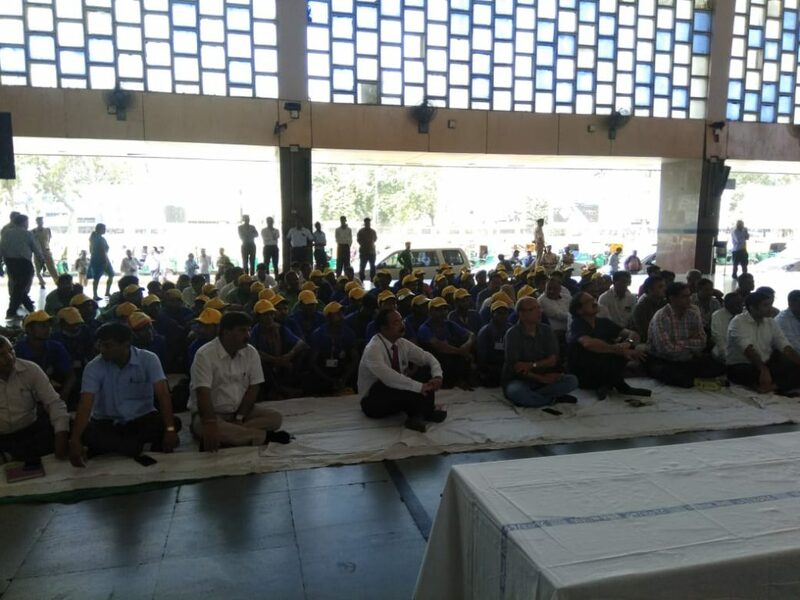 Bk Nandaben of Sukh shanti bhawan Ahmedabad Gujarat giving msg on “inner cleanliness” at Ahmedabad Juncation Railway station, during the celebration of SWACHATA PAKHWDA by western railways. 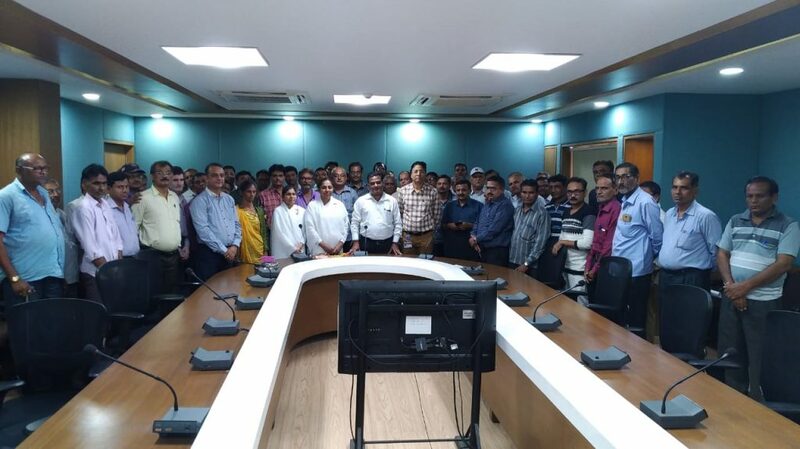 DRM Mr. Dinesh Kumar and all staff are in audience. 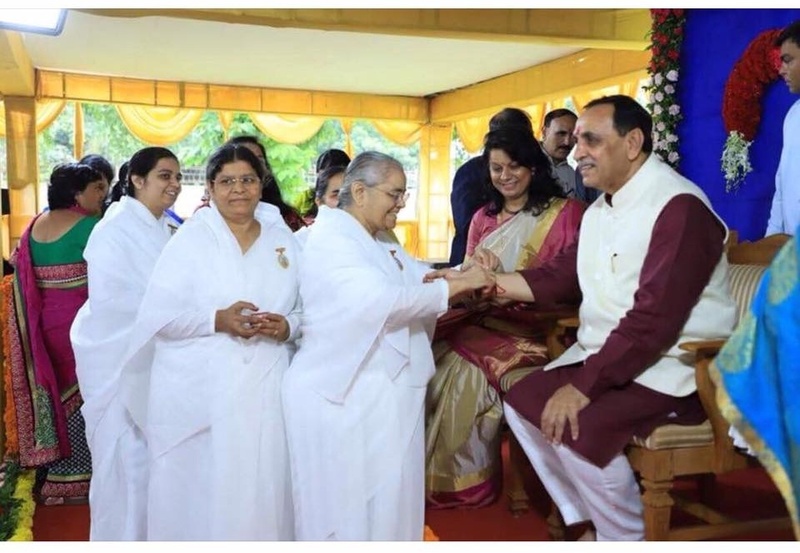 Gujarat : Rakhi with Godly Blessings Peace Power to Shri Vijay Kumar Rupani- Chief Minister of Gujarat. 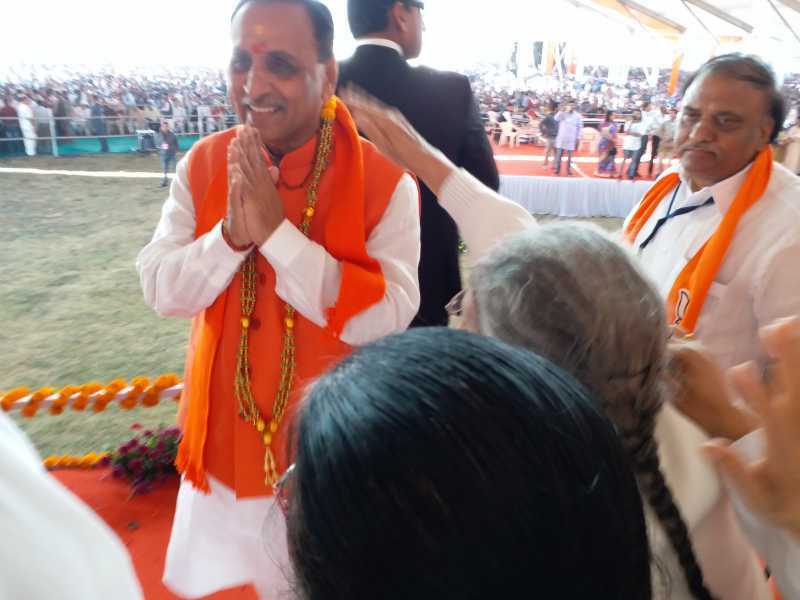 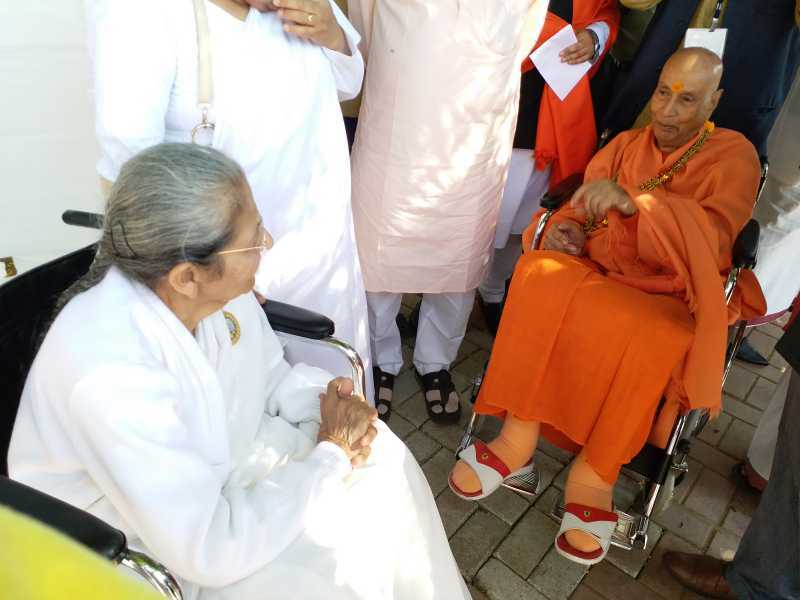 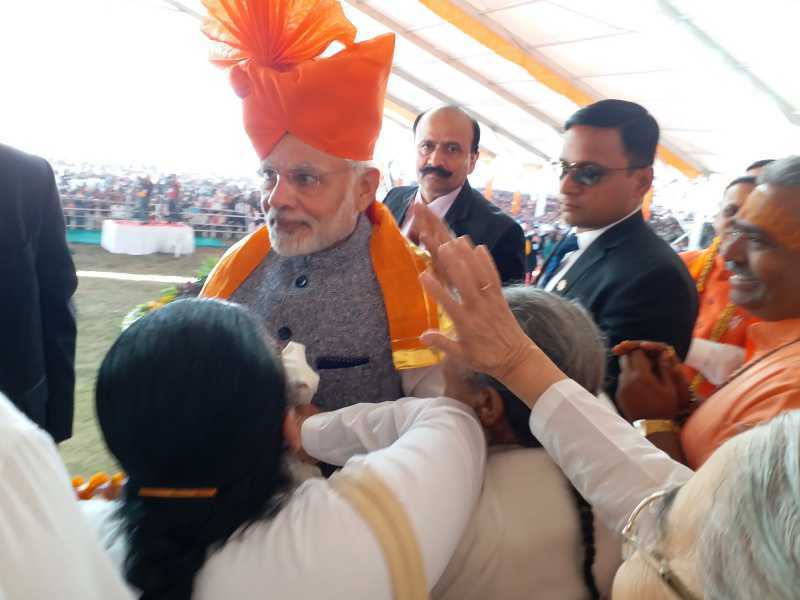 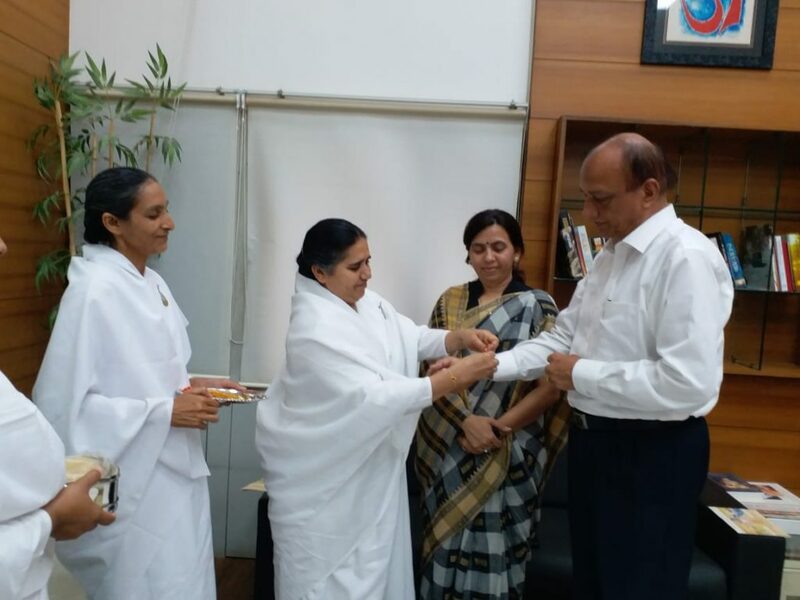 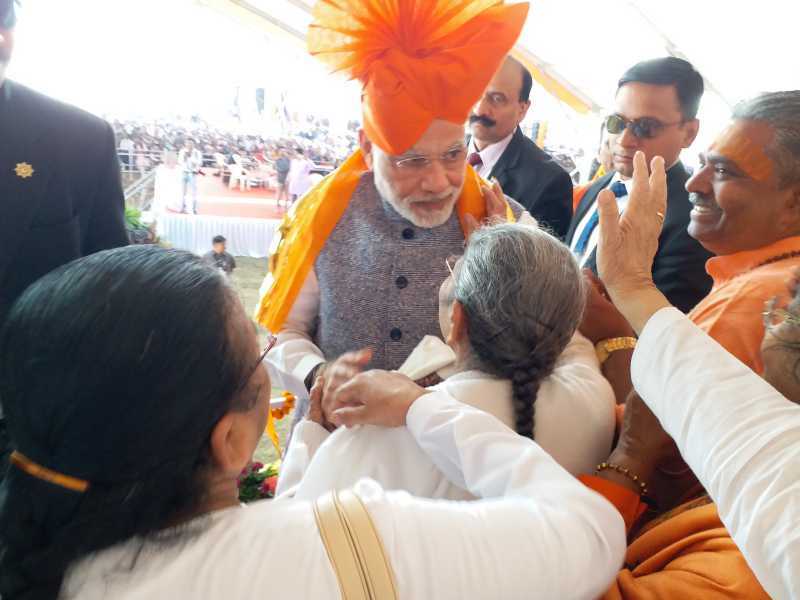 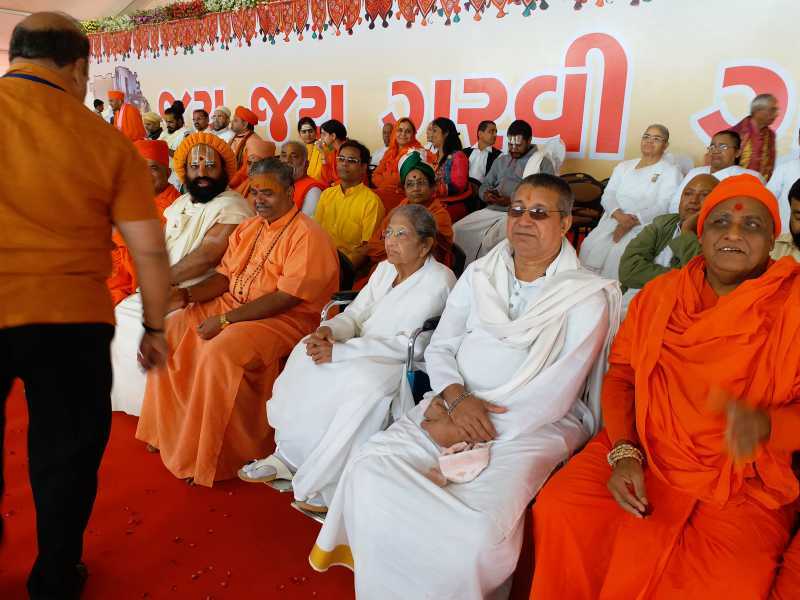 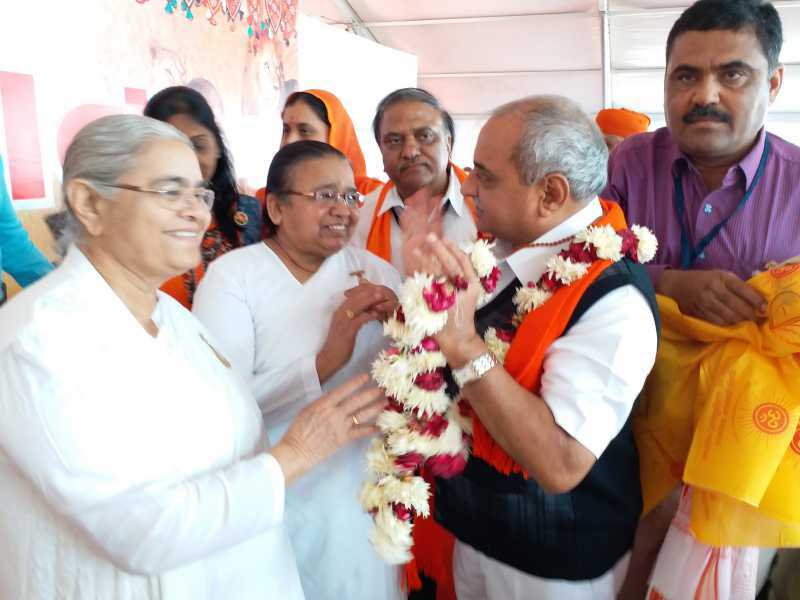 Rajyogini B.K.Kailash didiji accompanied with B.K.Taraben, B.K.Ranjanben & B.K.Krupalben is tying Baba’s sacred Rakhi with Godly Blessings, Peace Power to Shri Vijay Kumar Rupani- Chief Minister of Gujarat. 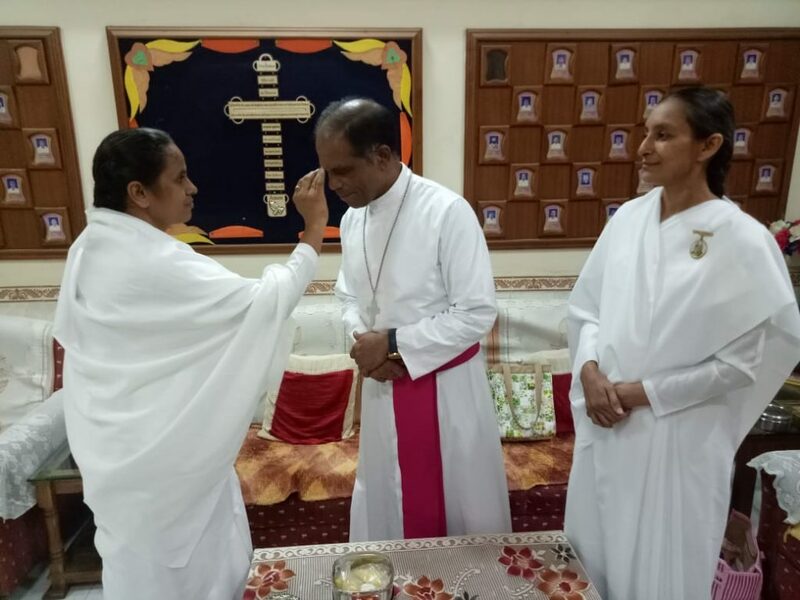 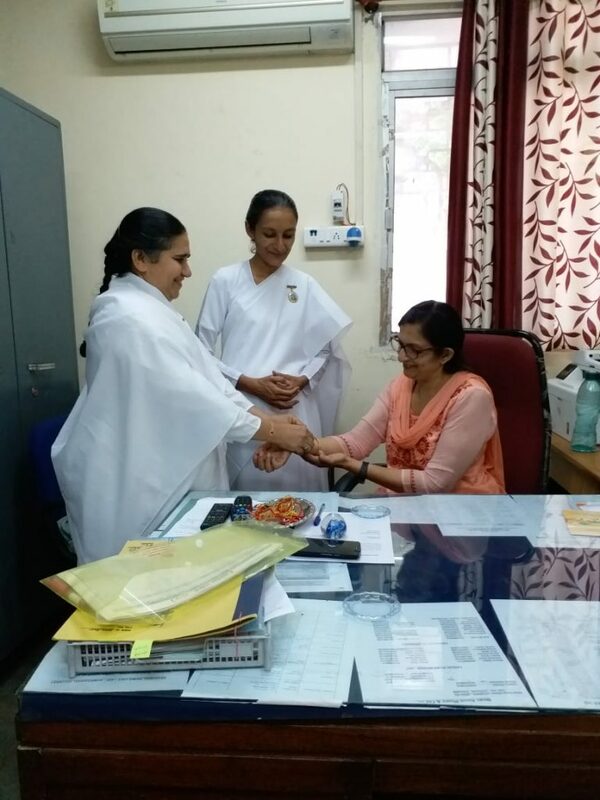 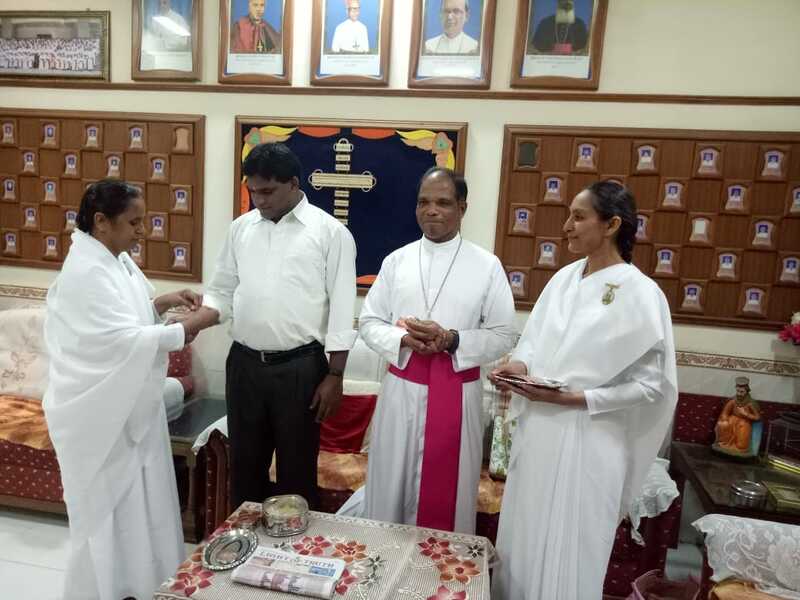 Bk urmilaben of Sukh shanti bhawan Ahmedabad tying rakhi to father nilesh of bishop house Ahmedabad along with arc bishop ratnagiri and Bk Nandini. 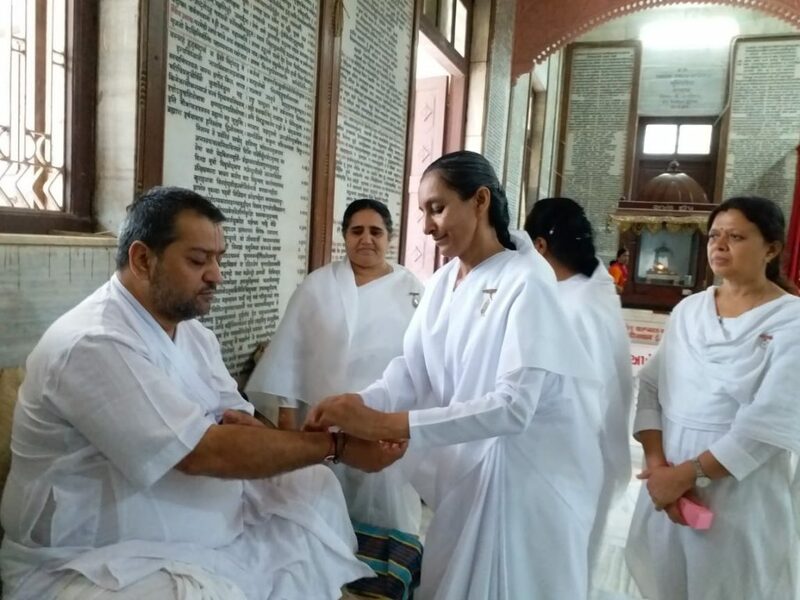 Bk Nandini from Sukh shanti bhawan Ahmedabad tying rakhi to Mr. Gyenendra vishwakarma president all media council and editor Kamari. 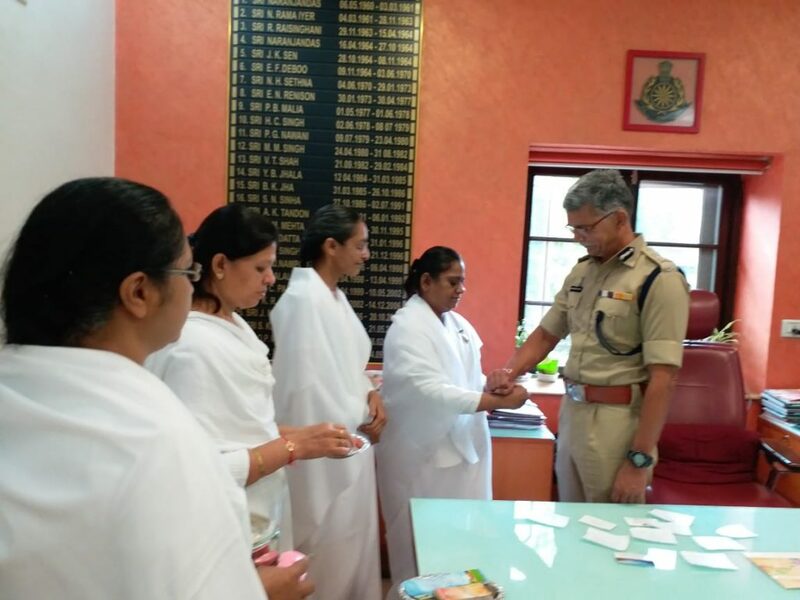 Bk Nandaben and Bk Hetalben of Sukh shanti bhawan given rakhi messages to Ahmedabad municipal transport services. 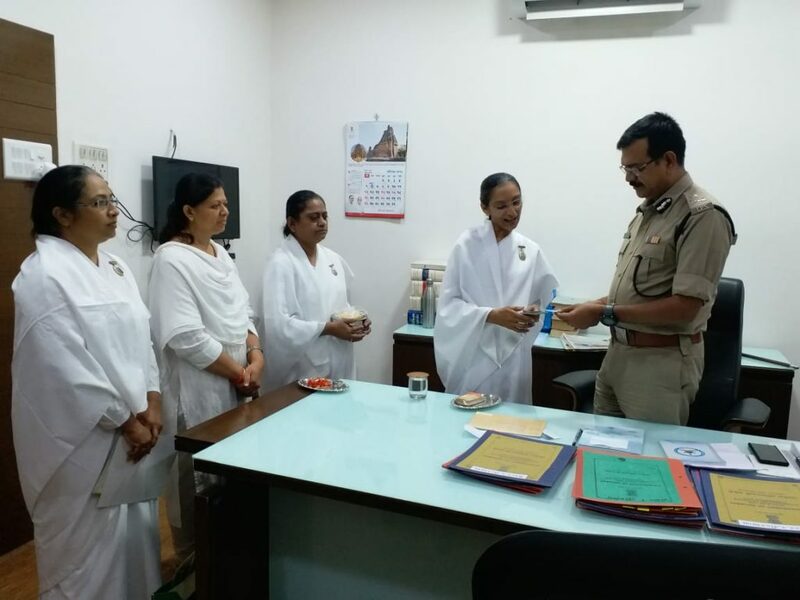 Chairman Mr. Bhavsarbhsi along with all staff members.Bk Nandaben and Bk Hetalben of Sukh shanti bhawan given rakhi messages to Ahmedabad municipal transport services. 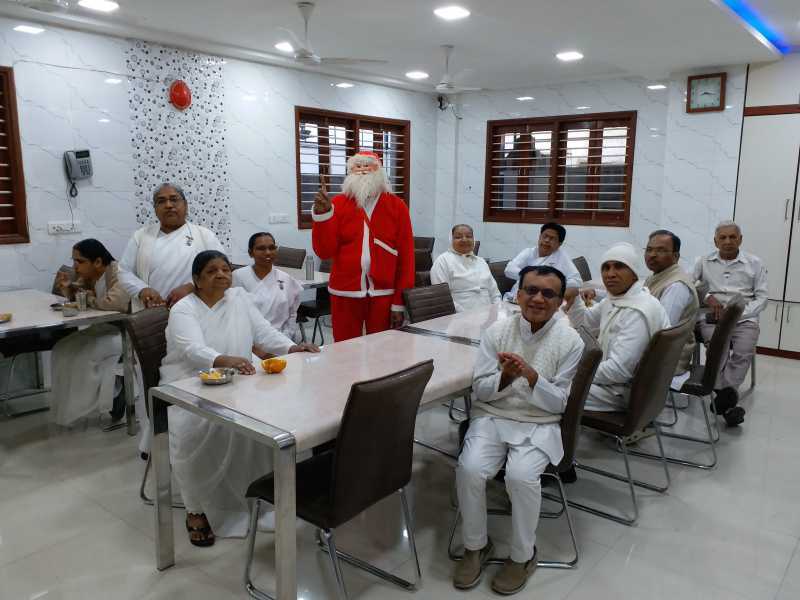 Chairman Mr. Bhavsarbhsi along with all staff members.